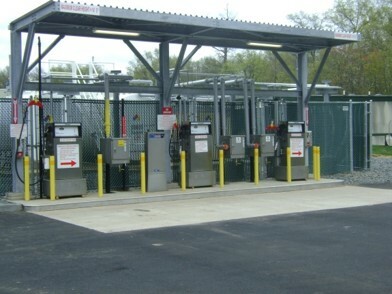 EI assisted the NJ DPMC with the design of a new fuel dispensing station, emergency generator installation and site upgrades at the NJ DOT Hanover Maintenance Facility. 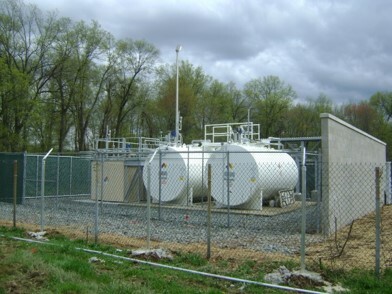 The scope covered completion of a partially constructed fuel facility which remained incomplete due to previous problems including leakage of underground fuel piping which had since been remediated and repiped above ground. 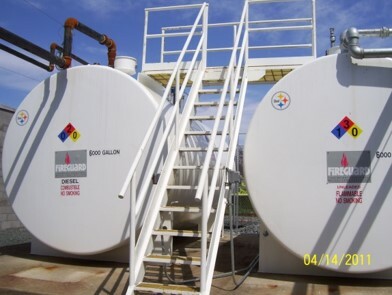 A third, 4,000 gallon, above-ground gasoline storage tank was installed as part of this work along with three fuel dispensers, card access control system and restoration of the two existing 6,000 gallon above-ground fuel storage tanks and existing piping. 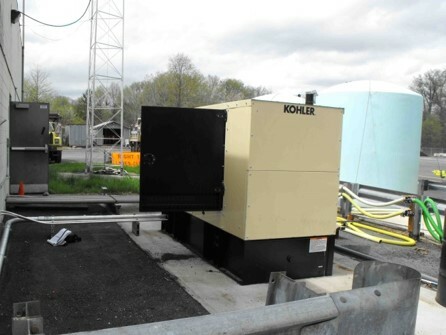 The project also covered the design of a new 125kW diesel fuel generator as well as associated improvements to the existing site pavement, site lighting, fencing and safety barriers and connection of the dispensing system to the new emergency generator.